We [, i.e. MitOst and partners,] are pleased to announce the launch of our idea challenge “Advocate Europe”. We invite you to apply with your project idea and secure funding of up to € 50,000. We will fund non-profit projects and initiatives from the fields of civic education, arts and culture, democracy and participation, social innovation or advocacy. Only online submissions in English and German are possible until April 13, 2015. Register and submit a project idea (You can edit and change your application until the very end of our application deadline). 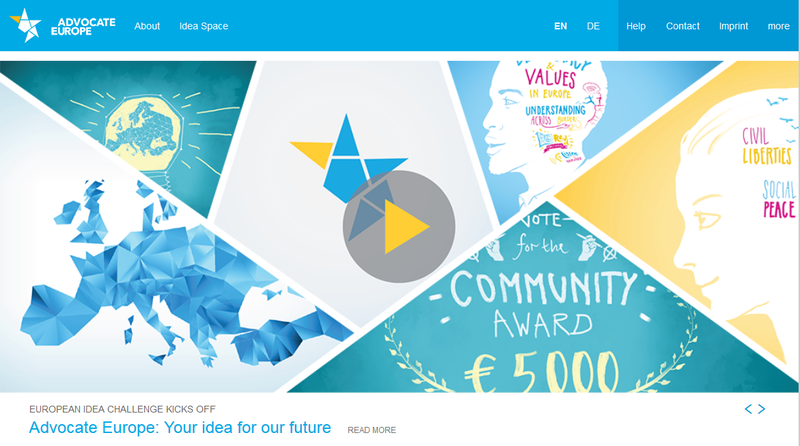 We are looking forward to your inspiring ideas for Europe! Tags: call for application, civil society, community, Europe, innovation, innovative ideas, liquid democracy, MitOst, Open Call, participation, Stiftung Mercator. Bookmark the permalink.